Compact folding music stand with carry bag. 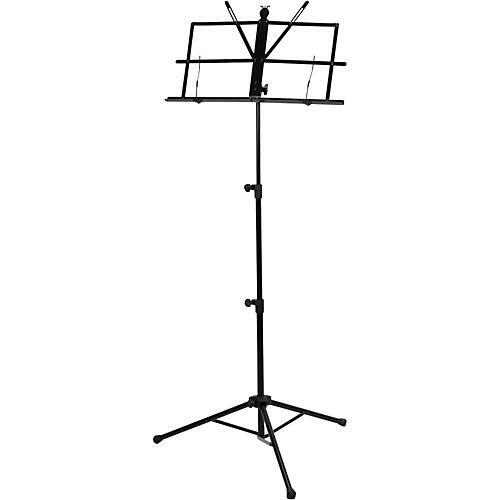 These folding music stands are crafted to be as light as possible without sacrificing strength. They feature a sturdy tripod base for stability that folds small for easy transport. Each stand is packed in a convenient carry bag for protection and portability. The stands are completed with a brilliant high gloss finish for a durable, modern appearance. Fully height adjustable, from 22" to 38"